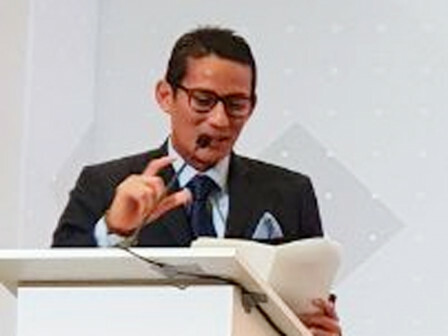 In Russia-Indonesia Business Forum 2018 event, Jakarta Vice Governor, Sandiaga Uno conveys investment opportunities in Jakarta. This event is held at World Trade Center Building, Moscow, Russia.
" We offer a lot of ease in investing, directly and indirectly"
This forum is also attended by National Development Planning Minister/ Bappenas Head, Bambang Brodjonegoro; West Sumatera Governor, Irwan Prayitno; Bangka Belitung Governor, Erzaldi Rosman Djohan. He mentioned, Jakarta has widely opened investment scheme and system via Jakarta Investment Center at Public Service Mall. "We offer a lot of ease in investing, directly and indirectly. We have public private partnership between government and business entity (KPBU)," he informed, Thursday (8/2). He explained, economy indicators shows a good prospective of Jakarta's economy potentials. According to him, Jakarta Government will focus in investment that not only relates with infrastructure, but also human development. For example, city development that can create many job opportunities and support affordable living program. "Not only in service and infrastructure fields, but also in tourism, particularly Seribu Islands as Indonesia's Maldives," he stated.